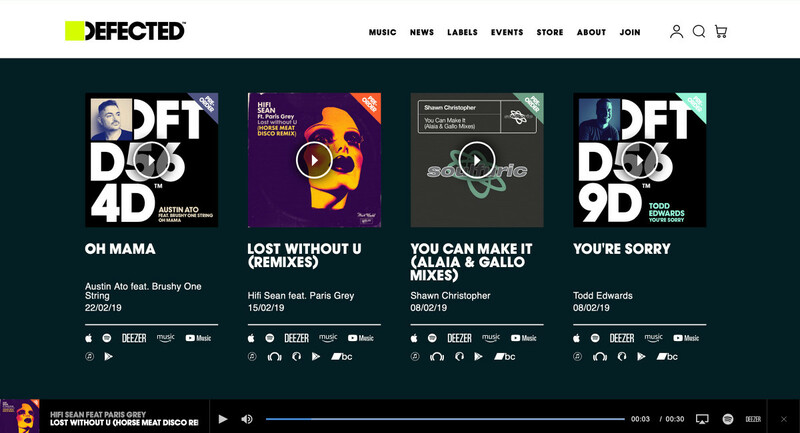 Defected Records approached us in the early part of last year with exciting plans to transform their existing website into a truly dynamic and engaging digital experience. The idea was to create a site that their legions of fans could visit regularly for news and updates. We navigated our way through the technical hurdles to deliver a site that truly reflects the innovative Defected brand. We have provided Defected Records with a fully integrated, seamless website that is exciting and vibrant. The new solution has improved customer engagement and community feedback has been excellent. Defected Records is an iconic record label specialising in House Music, launched 20 years ago. The label responsible for the decade-defining dance track ‘Another Chance’ by Roger Sanchez and their current roster of artists are just as inspiring. Our relationship with Defected began over a year and a half ago when we appointed to take over the responsibility of their existing Magento website. The solution was in a bad state, user experience was damaging conversion and sales performance. We stabilised the solution and provided ongoing support to help commercialise and improve merchandise sales. When Defected shared with us their plans to create a completely new website solution, we were delighted to come on board and provide them with the support they needed to deliver an industry leading website. 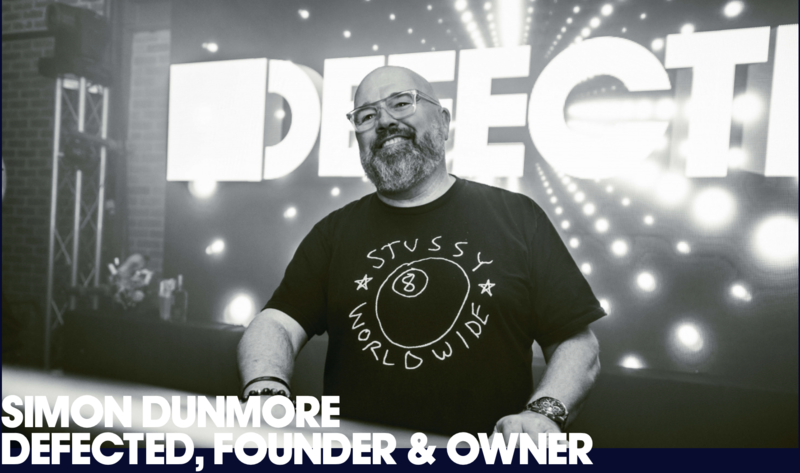 The idea behind the new Defected Records website was to create a powerful information hub for both artists and fans alike. The new site would include all the latest news and events for each Defected Records associated artist and also include links to buy tickets from external partners. 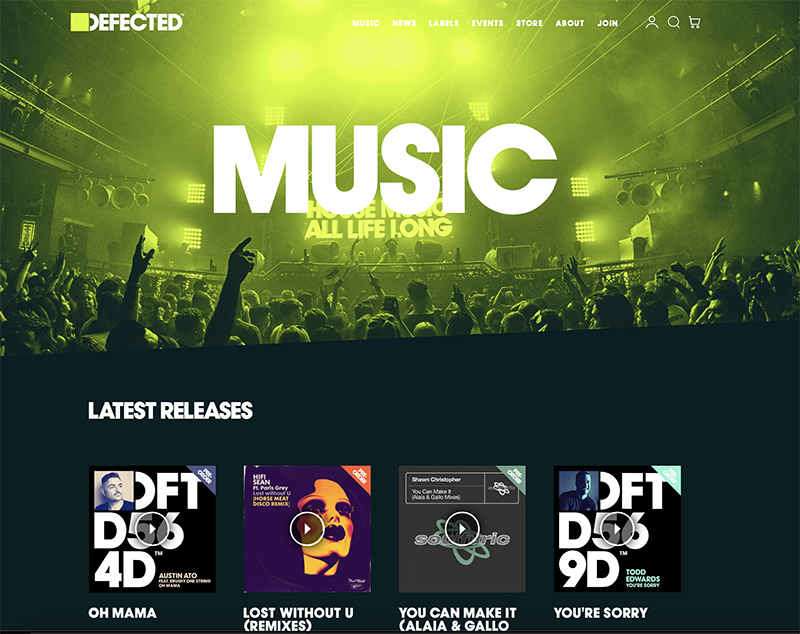 The new site had to reflect the stylish and contemporary image of the label and be consistent with all of Defected Records current branding. The main challenge was to understand how to integrate the new site with Defected’s pre-existing music streaming platforms, including Spotify, Apple Music, Deezer and many more. These streaming sites included, in some cases, entire back catalogue, so there was a lot of media that needed to be integrated. We performed many lengthy and complex tasks on the new site. We moved nine years of article content over to the new solution as well as undertaking a complete UX review and redesign of the site. The new site includes playlist & radio integration and there is the ability to listen to, purchase and add tracks from the entire back catalogue directly to your playlists. The new store is updated and is much more seamless and easy to navigate. As well as the increase in levels of traffic and community engagement, the new site provides a rich brand experience. We’ve built a fully integrated solution which provides a marketable platform to grow the defected brand and to encourage user engagement and brand loyalty. We have produced a website that communicates the Defected brand experience and represents the forward-looking, energised character of the business. We are excited to have started the next phase of our work. We have been commissioned to design and build a new site for Glitterbox, one of Defected Records exciting and growing labels. We’re always looking to work with innovative brands. If your e-commerce site needs an overhaul or a redesign, contact our team today to find out how we can deliver your digital transformational strategy.